In 1974, in the UK a handful of women brokers involved in the tanker market met for a Christmas lunch. They decided to repeat the experience on a regular basis, to exchange views on professional matters of common interest. Over the years, contacts from overseas were invited to join the meeting and the group gradually expanded throughout Europe to include women from other areas of shipping. Within a relatively short period of time 25 women were involved, who decided that an Association should be formed. WISTA (Women’s International Shipping & Trading Association) was born which was based in United Kingdom. The annual meetings were extended to a conference programme in 1981, when the first WISTA conference was held in Hamburg, Germany. In the early nineties, the members voted to create WISTA “International” being the umbrella organization for the newly formed WISTA counties. 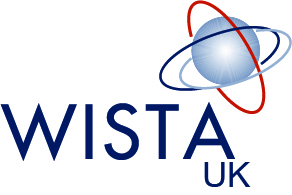 – and hence WISTA-UK was born.